I've owned a Takamine Hirade H10 Guitar for over 10 years now. It's a great instrument. The luthier that built signed the guitar (I can't make out his name). What I wanted to know is if the company has discontinued the H-10 and what its potential value may be. I'll never sell this guitar as it has seen me progress through the years as a player. But I'm curious to the background of it. 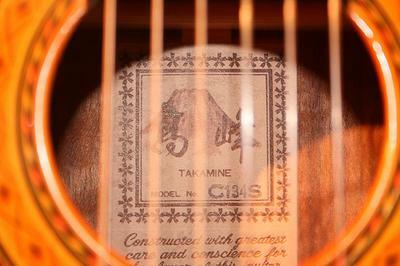 Can anybody help out Mike with some history on the Takamine H10? It's certainly a valuable instrument, and there are few to none available for sale anywhere. If you're interested in Takamine guitars, click here to search for models for sale online.